‘The Princess Steel’, a previously unpublished sf/fantasy story by W.E.B. 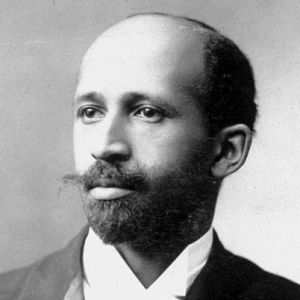 Du Bois, can be found in the most recent issue of the PMLA (130.3: 819-829). It was written some time between 1908 and 1910, and there is an earlier draft called ‘The Megascope: A Tale of Tales’. The earlier title acknowledges Du Bois’s self-conscious embedding of one tale within another within another. It also shows a clear sense of how the introduction of a science-fictional innovation (not really what Suvin means by the novum) functions as a narratological device to generate fictions. The Megascope shifts the story from one genre/diegesis into another and then into another – or, perhaps more accurately, revises the reader’s expectations of the story as it rewrites the rules of the world in which the story takes place. Lakes and rivers flow … pouring from the hills down to the kitchen sinks with steady pulse beneath the iron street [and] great steel Genii, a hundred feet high, lumber blindly along at out neck and call to dig, lift, talk, push, weep, and swear [and us] houses sag, stagger, and reel … but …do not fall: we hold them, force them and prop them up [even as we] tak[e] away the foundations of the city and leav[e] it delicately swaying on air. (265, 266). In ‘The Princess Steel’, however, Du Bois approaches the problem from the other side. His broadly realistic opening is just a frame for an exercise in the fantastic, using sf to access the allegorical as a means to draw out the unseen determinants of an exploitative patriarchal-colonial-capitalist modernity and contemporary social life. Johnson’s library contains volume upon volume of The Great Chronicle – a record he discovered a quarter century earlier of the ‘everyday facts of life but kept with surprising accuracy by a Silent Brotherhood for 200 years’ (823). We learn no more about this surveillant order – perhaps for Du Bois an imaginative precursor to The Dark Princess’s secretive revolutionary Great Central Committee of Yellow, Brown and Black – but their copious records have enabled Johnson to develop the Megascope. to the heightened and elusive description of their purpose introduces an ineffable tone that eases the next generic switch. The great tube’s window displays a vision of New York that transforms before the viewers. The landscape becoming apocalyptically fantastical as the view rushes towards Pittsburg, where steel mills rise like cyclopean castles or ‘the Mills of the Gods’ and between them move obscure and terrifying Things – the ‘Things of this New World, the World of Steel’ (824). On this note – presaging the dire consequences of industrial modernity, of capitalist and colonial and gendered exploitation, which include the violent overthrow of such a world – the vision ends. The couple make a hasty exit. In the PMLA, ‘The Princess Steel’ is introduced by Britt Rusert and Adrienne Brown, who are currently co-editing a collection of Du Bois’s sf, fantasy, mystery and crime fiction. The story is locked behind the journal’s pay-wall – but there are bound to be people out there whose universities have institutional access.